Hey there NCR members! The fall season has ended, we’re waiting for winter training to kick in…What can you do in the mean time? Coach Rob has pulled together some workouts for the youth rowers (can be modified to suit youth or adult rowers). He also included a link to “Rob’s spotify playlist!” Enjoy! And we’ll see you soon…. Click on the link below for a list of items on the NCR wish list. 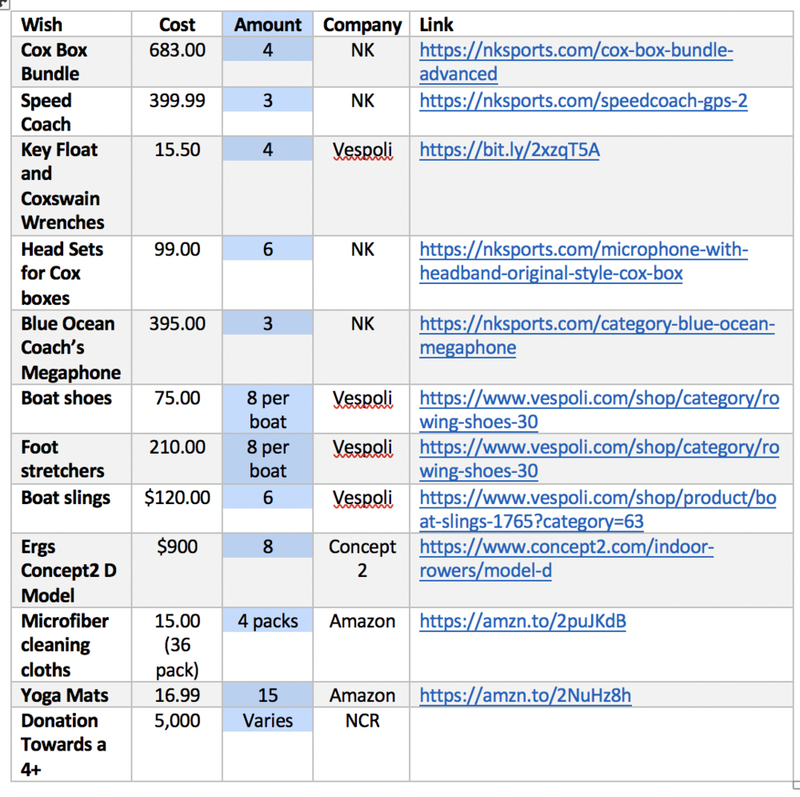 If you are looking to contribute, you can click on the Wish List will take you to a PDF with clickable links to the item. We have received enough donations to purchase a 4+! We will have a new boat this spring! Our final regatta — a two-day regatta is coming up this weekend. The Masters head to the water on Saturday Oct. 27th and the youth team races are on Sunday Oct 28th. The bus for the youth rowers will leave from the Boathouse and Coach Beth will provide more information to teams soon. For more information about the regatta click here. 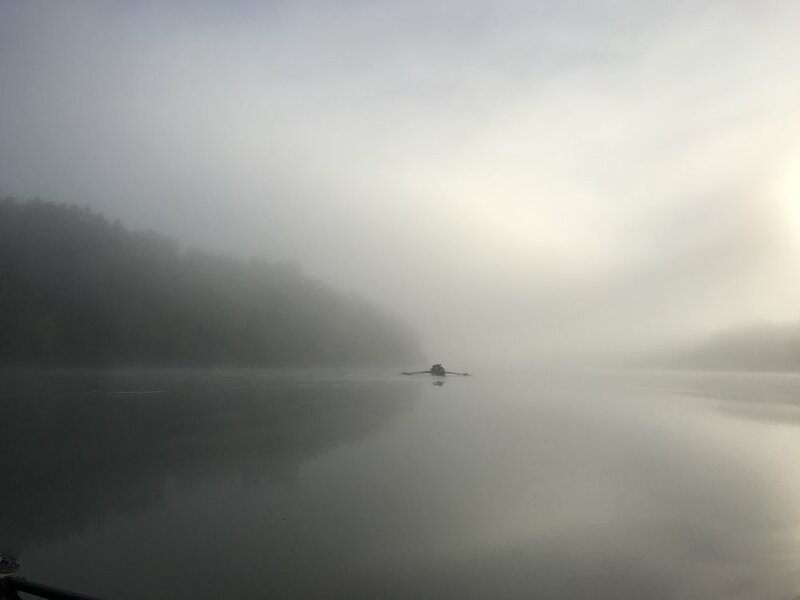 Kendra Rowan - "Our Little Diesel"
Today, Northampton Community Rowing lost one of our own. We are saddened to hear of the loss of Kendra Rowan, 2003 graduate of Northampton High School. Kendra was Captain and stroke seat in the early days of NCR. She also served as coxswain for Masters rowers. She and her family are the foundation of NCR, helping to design and build our docks and do just about everything needed to help NCR survive in the Club's early days. The GMA, our 8+ we still cherish today is dedicated to her cousin who died in the Towers during 9/11. You can read Kendra's obituary here. We send our condolences to her family and wish them peace during this difficult time. She will always be in our hearts at NCR. We want to thank all our rowers, families and supporters for our successful spring fundraising! We have raised nearly 20,000 between the 2018 Ergathon and Valley Gives Day! Ergs and Rowers and Ergathon, Oh MY! Corner of Main and Pleasant St, Northampton. On the front lawn of the old courthouse. Yes sirree! It's that magic time of year again where NCR rowers, both youth and masters get themselves out in front of the public and demonstrate what an erg does to rowers and what the rowers do to the ergs. This year is our 20th anniversary year of getting people on the water. For that reason this ergathon is special and significant. Our tag line this year is $20 for 20. We are asking folks to sponsor our rowers and to contribute to the long term health and wellness of Northampton Community Rowing. 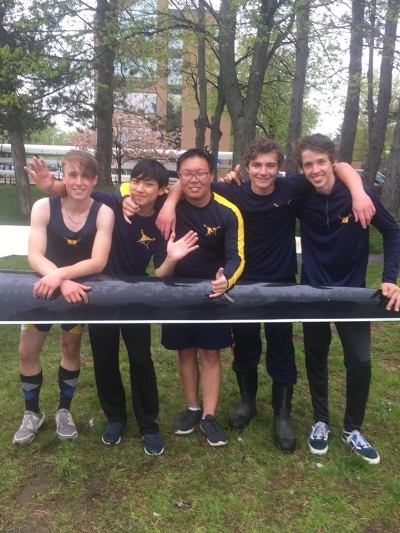 All donations will go to supporting our programming, equipment and outreach efforts as we continue to bring the best rowing opportunities to the region. For all of the rowers participating in this year's ergathon we ask that you sign up for a slot on the sign up genius. NCR rowers, board members and staff will be on site to answer any questions passersby might have. We have many programs available this summer for youth and adults so please come on down, say hi, and see what we're all about. Thanks to all who donated through the GoFundMe page we were able to gather $2800 to rebuild the docks and create a new system for launching at our site. Many people made incredibly generous contributions and we truly appreciate your kindness. Also, thanks to a heroic team of people (Coach Beth, Bullet, Morgan Marlow, Wendy Bernstein, Sally Linowski, Linda Hannum, Coach Rob, and Chris M.) the new docks are built and ALMOST ready to go. We are still in need of flotation for the docks. We also need someone with a fork lift to help us get the old docks off of the lawn and onto the asphalt so they can be carried by the crane into the water. But we are VERY hopeful that we can get the docks in place by Wed. April 11. If you have any leads on a company willing to donate or provide fork lift services cheaply, please email: executivedirector@hampcrew.com ASAP. We are all ready to be on the water!